Italy’s government has moved to block the so-called “anti-mosque” law in Lombardy that would make construction of mosques much harder for Muslims in the country’s north. According to the set of regulations, those,who want to build a new place of worship connected to the religion that is not officially recognized by the government, would face a vast number of restrictions: for instance, complying with the specific size of the parking lot. The legislation also obligates that the dimensions and architectural proportions should fit in with the local landscape, effectively outlawing building minarets. 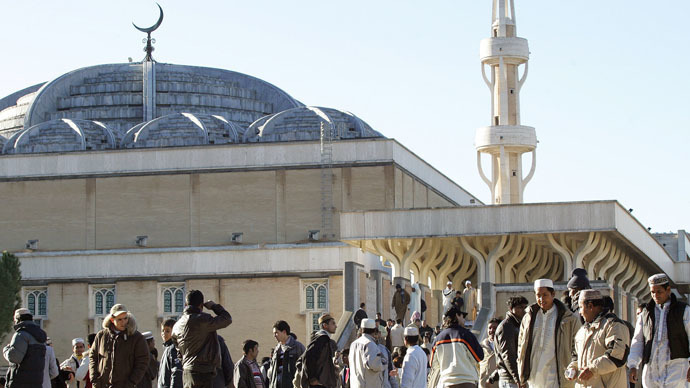 The regulations have become known as “anti-mosque” legislation, and was approved by a regional council in Lombardy at the end of January, AFP reported. The local authorities are dominated by mainly right-wing forces. Following the outrage over the move, Italian Prime Minister Matteo Renzi, whose government is center-left, has declared the legislation would be sent to the Constitutional Court for review. The highest court will look into the legislation on the following counts: if the new regulations breach guarantees of religious freedom, if the region overstepped its power by changing state-religion relations locally, and also if the law could leave too much power in the hands of the local mayors. Critics of the law expect the Constitutional Court will overturn the motion that they say violates Italy's constitution on several grounds. The northern authorities cracked down on the government, with Matteo Salvini, the leader of the far-right Northern League, posting on his Facebook page that “Renzi and [Interior Minister] Alfano are the new Imams”. Currently, about a million Muslims live in Italy, and it’s the second-widest practiced religion, according to the 2011 survey. In particular, Milan, the capital of Lombardy, is home to a lot of Muslims, and even has an Institute of Islamic culture situated in local mosques. At the same time, Europe is highly concerned that Middle Eastern states’ funding of the construction of mosques could be a ‘hidden promotion’ of radical Islam. On account of these fears, Austria banned the foreign financing of mosques in February.